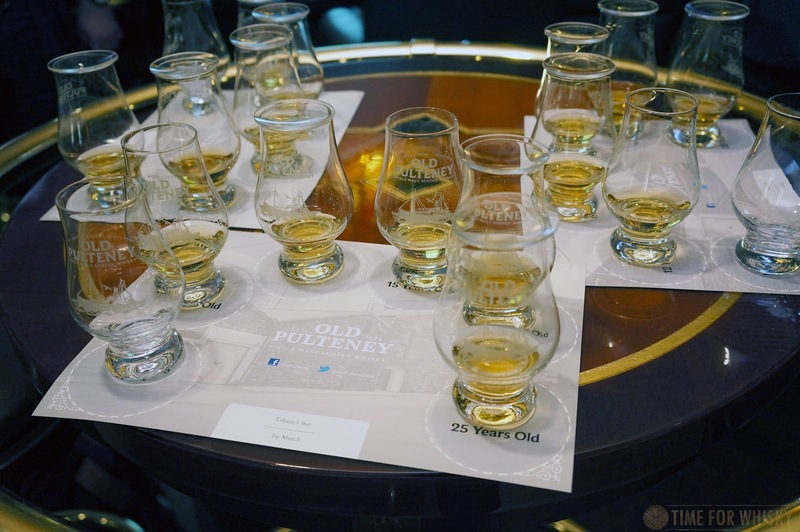 It's been a while since we've featured Old Pulteney on this blog. Over four years, in fact. Not because there's any issue with the whisky (quite the opposite), but mainly because we'd tried most of the core range, and there wasn't much new to speak of in that time, save a few travel retail releases, and a few fantastic single casks that I tried but never took decent notes on. That all changed last year however, when Pulteney Distillery released an entirely refreshed core range - new ages, new labels, new names and (in many cases) new whisky. 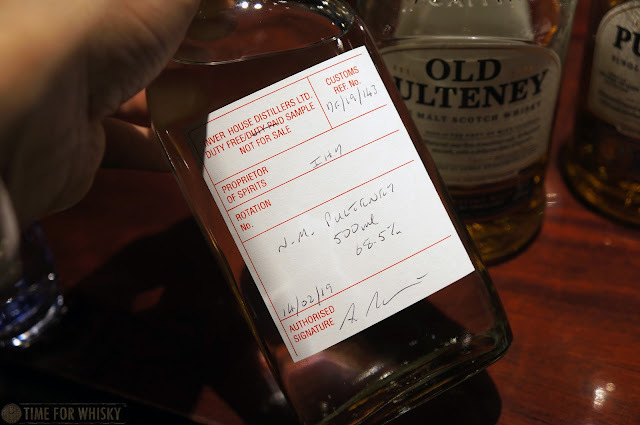 It's always a risk for a distillery to make major changes to its core line-up, especially when those changes involve discontinuing long-time fan favourites and award winners like the Old Pulteney 17 & Old Pulteney 21, but that's what they did, introducing a "new" 12, NAS, 15 and 18 year old in new packaging. The new range took a little while to make its way to Hong Kong, but it's now here, and recently we were fortunate enough to join a tasting with distillery manager Malcolm Waring who talked us through his 30 years in the industry, the history of Pulteney and it's northern home of Wick, and the "quirky" character of their whiskies. New in label design only, the liquid inside the "new" 12yo is the same as the previous 12yo - 100% American Oak barrels, mostly re-fill, chill-filtered. Nose: Floral, briney, with creamy notes of vanilla. Palate: More vanilla (vanilla cream), slightly saline, with notes of grapefruit. Finish: Medium in length with hints of grapefruit and a slight oak bitterness at the very end. Rating (on my very non-scientific scale): 89/100. Named after the street on which the distillery resides, and finished in peated anCnoc casks. Non-chill filtered, no colouring. Interestingly this, like the 12, uses a type of Optic barley which can't be obtained anymore, as the farmer responsible no longer grows it. Palate: Orchard fruits, confectionary, smoked pears and apricots. Finish: Medium in length, with the peated notes coming through a little stronger. A little "thin", with some tannins showing. In fact, not dissimilar to Scapa Glansa, which was also finished in peated casks. Rating (on my very non-scientific scale): 86/100. Finished in Oloroso-seasoned Spanish butts ("for a number of years") in a dunnage warehouse. Non-chill filtered, no colouring. Nose: Lovely. Milk chocolate, maple syrup, sweet vanilla bean and custard apple. Palate: Oily, viscous, spicier than the previous two, with some red fruit (strawberries, raspberries) & freshly oiled leather. Finish: Long, berries, oak and leather. A combination of ex-Bourbon and ex-Spanish Oak sherry casks. Non-chill filtered, no colouring. Nose: Banana chips, wafts of sweet smoke and milk chocolate. Palate: Big in the mouth initially. Crème brûlée, Allen's Bananas, barbecued bananas. Dark chocolate and a noticeable maltiness. Finish: Long, smoked banana with a residual meaty note. Rating (on my very non-scientific scale): 91/100. Malcolm was also kind enough to bring some New Make Spirit along, at 68.5%. I found it meaty on the nose, and fruity on the palate, with some noticeable hints of Grape Hubba Bubba bubblegum. American Oak, finished in Spanish oak in Dunnage Warehouse No.6, where floor-malting previously took place. Non-chill filtered, no colouring. Nose: Grassy, orange, cherry, grapefruit, rich spice and dark chocolate. Palate: Initially subtle, then opening up into notes of tobacco, cigar box, dark chocolate, sherry-soaked fruit compote (apricots, pears, peaches), and Brazil nuts. Those salty / saline characteristics are noticeable too. Finish: Orange peel, dried oak, dark chocolate. Oak tannins are there, but minimal. Rating (on my very non-scientific scale): 92/100. Very nicely done indeed. 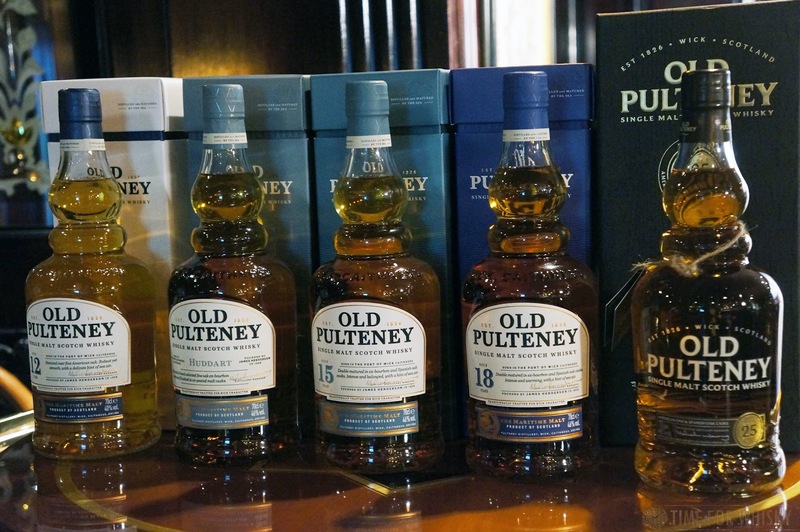 As mentioned, it's a risky approach to replace a well-known and much-loved core range, but Pulteney have done it very well - the new 15 and 18 are worthy replacements for the 17 and 21, and the Huddart explores an interesting twist which, whilst perhaps not to everyone's taste, certainly offers drinkers the chance to see Old Pulteney spirit in a new light. 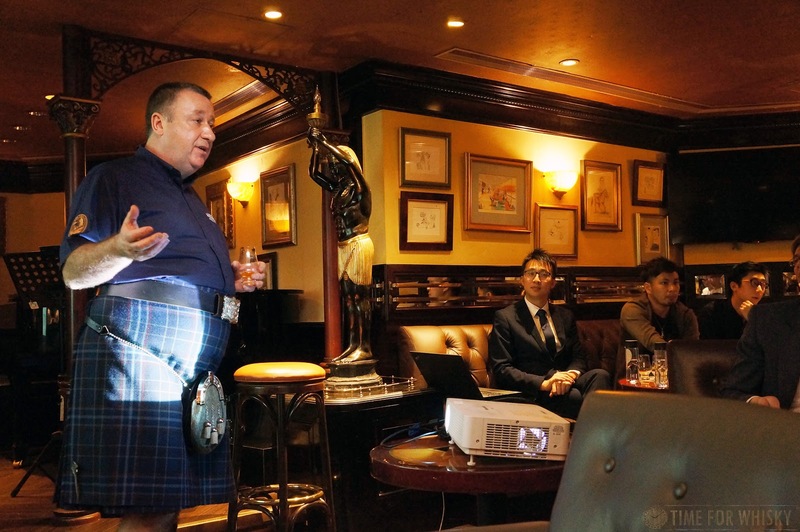 A big thanks to Malcolm, Interbev, Whisky Magazine Hong Kong and Tiffany's New York Bar for the tasting.